The Cosmic Cube made its first appearance in Tales of Suspense #79 and was an immensely powerful device created by A.I.M., who are introduced in Iron Man 3. 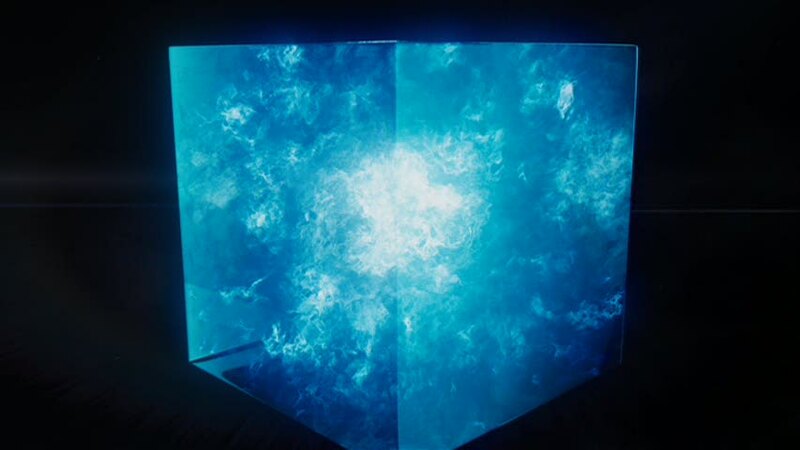 In the films, it is now called the Tesseract and made its first appearance in the post-credits scene of Thor. In actuality, the Cube is the Space Stone, one of the six immensely powerful artifacts known as the Infinity Stones with the ability to open wormholes in space. 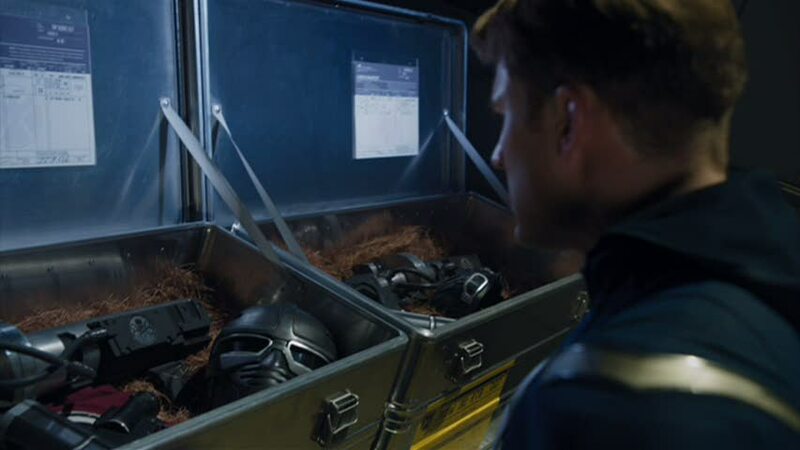 It was previously kept in Odin’s vault before somehow finding its way to Norway where it was discovered by the Red Skull in Captain America: The First Avenger. SHIELD’s research facility is called Project Pegasus, which first appeared in Marvel Two-in-One #42 (1974). Located in the Adirondack Mountains, Pegasus was a government research facility devoted to alternative energy sources. 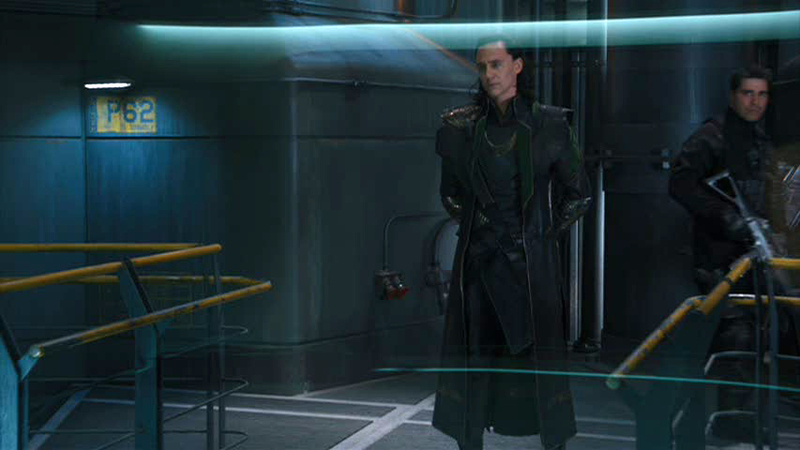 The movie version serves the same purpose in attempting to crack the secrets of the Tesseract. 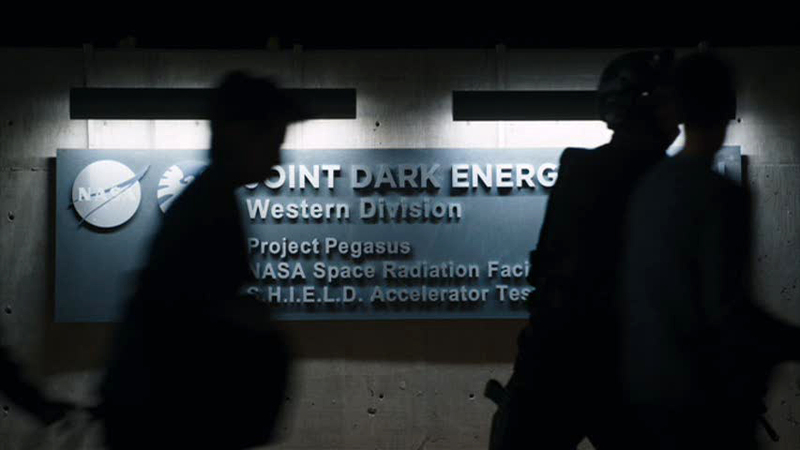 The wooden crates containing Tony Stark’s particle accelerator in Iron Man 2 were marked Project Pegasus. 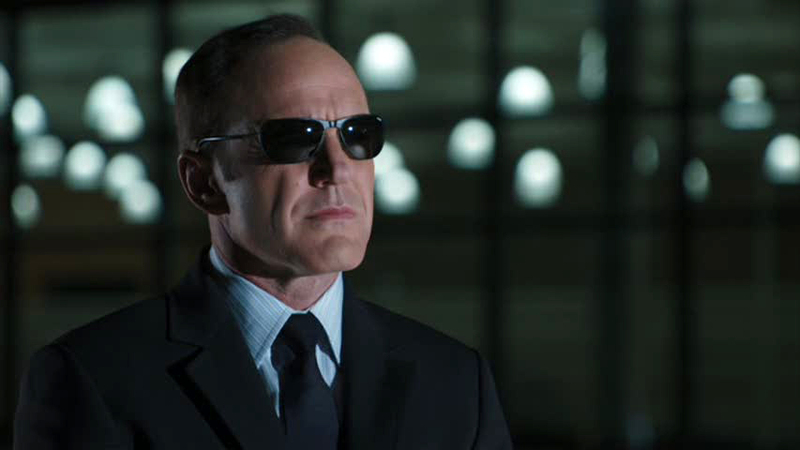 The Avengers marks the fourth appearance of Clark Gregg as Agent Phil Coulson, previously seen in Iron Man, Iron Man 2, and Thor. It’s the sixth if you count the two short films, The Consultant and A Funny Thing Happened on the Way to Thor’s Hammer. Created specifically for the films, he has only recently been introduced into the primary Marvel Universe (Battle Scars #1). 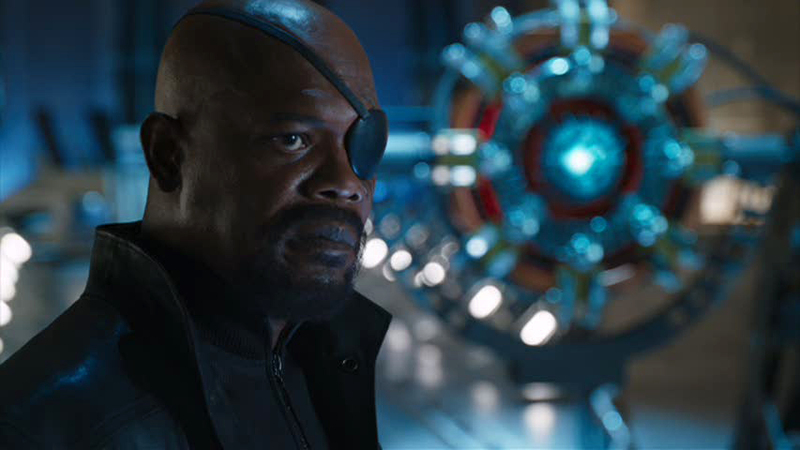 Samuel L. Jackson makes his fifth and most significant appearance as Nick Fury, Director of SHIELD. 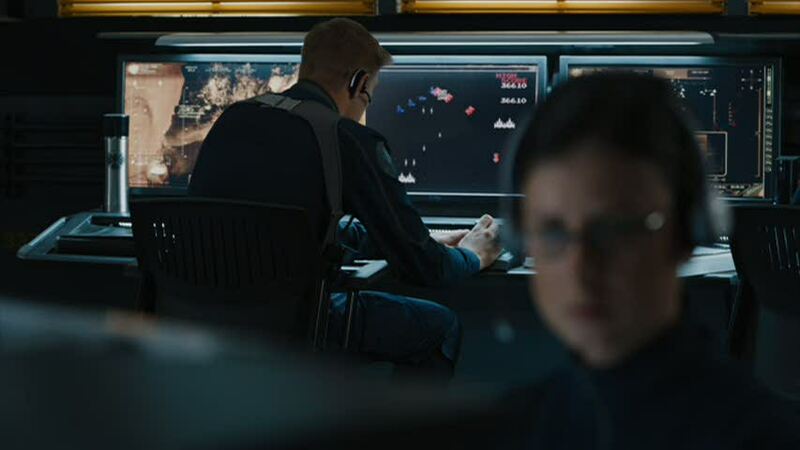 This follows cameos in Iron Man, Thor, and Captain America as well as a very brief supporting role in Iron Man 2. 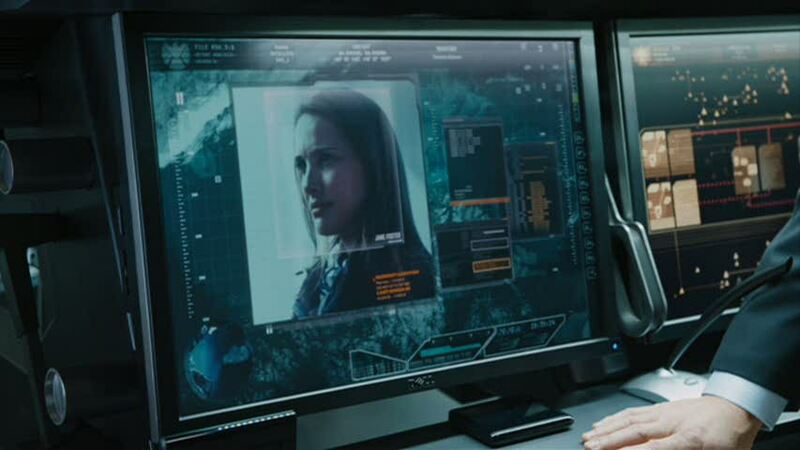 Cobie Smulders makes her debut in the Marvel Cinematic Universe as SHIELD Agent Maria Hill (1st appearance, New Avengers #4, 2005), whose role in the final film is radically different from an earlier version. Avengers was previously bookended by Hill debriefing the World Security Council and laying the blame for the destruction in Manhattan at the feet of the Avengers. Her distrust of Fury and superheroes is more in line with her initial appearances in the comics. 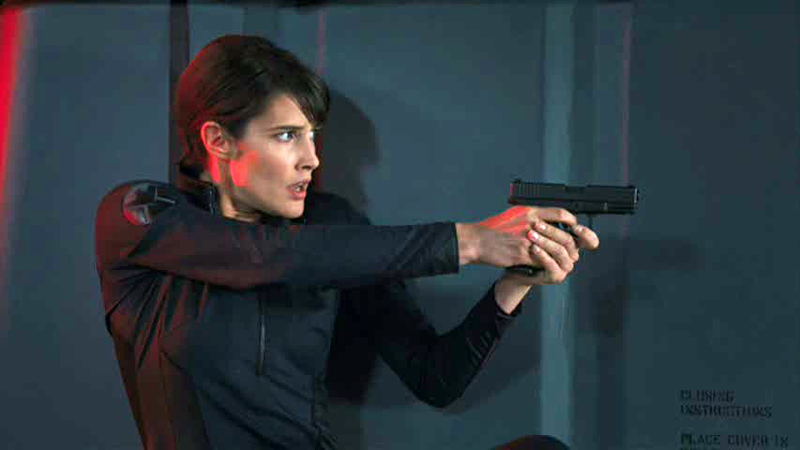 Smulders was Whedon’s first choice to play Wonder Woman. 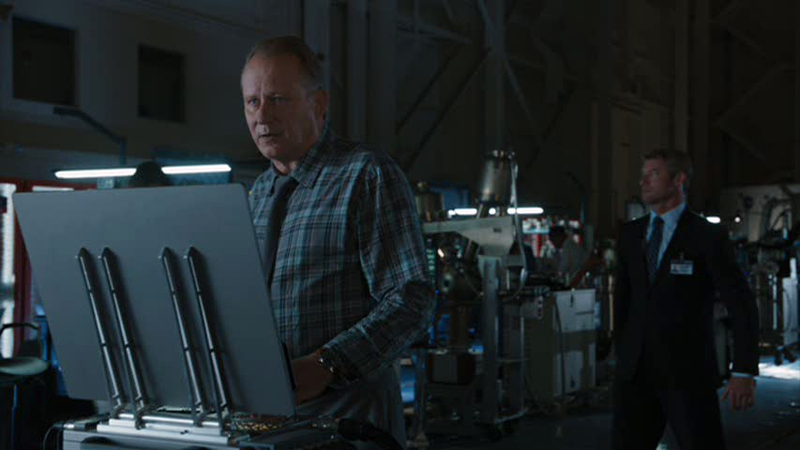 \Stellan Skarsgard makes his second appearance as Dr. Erik Selvig. His relatively normal state of mind seemingly ignores the post-credits scene from Thor, in which Loki was revealed to be controlling Selvig. Nick Fury knows gamma radiation can be dangerous as evidenced by the Hulk. 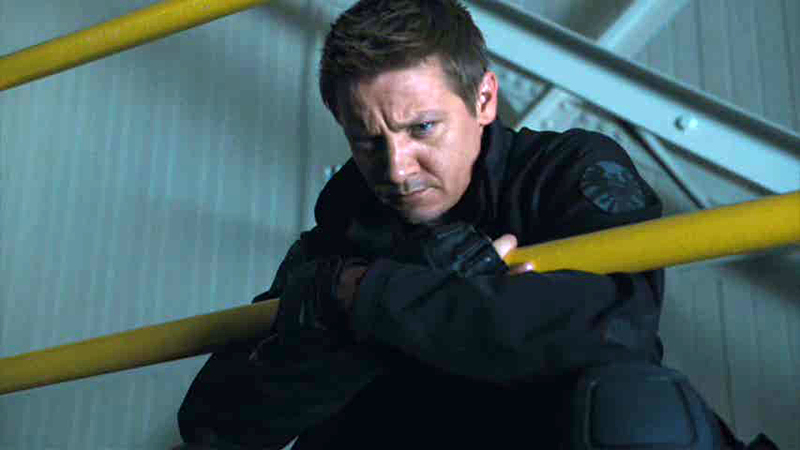 Jeremy Renner makes his first full appearance as Clint Barton, aka Hawkeye, following a cameo in Thor. Making his debut in Tales of Suspense #57, Hawkeye was an orphan trained in archery by the costumed villains Swordsman and Trick Shot. He joined the second incarnation of the Avengers alongside Cap, Quicksilver, and the Scarlet Witch. Hawkeye proved to be a capable leader by founding the West Coast Avengers and taking charge of the Thunderbolts, a team of reformed bad guys. 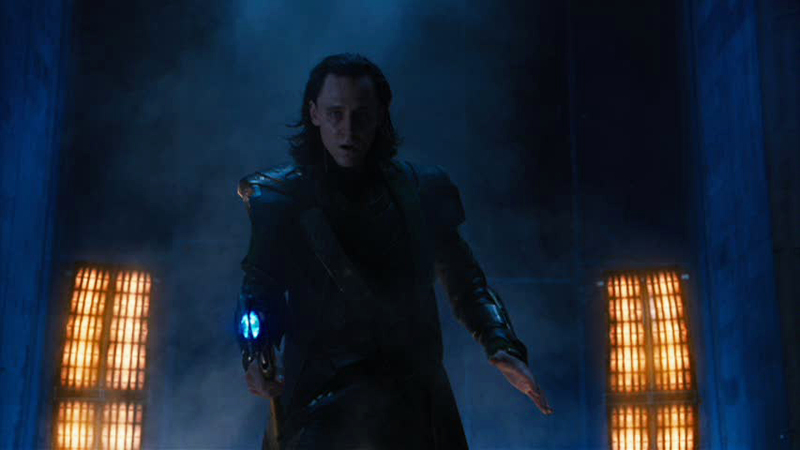 Tom Hiddleston returns as Loki, the brother and archenemy of Thor and the catalyst for the formation of the Avengers. In Avengers #1 (1963), Loki manipulates Thor and Hulk into battling each other and inadvertently draws Iron Man, Ant-Man, and the Wasp into the conflict. 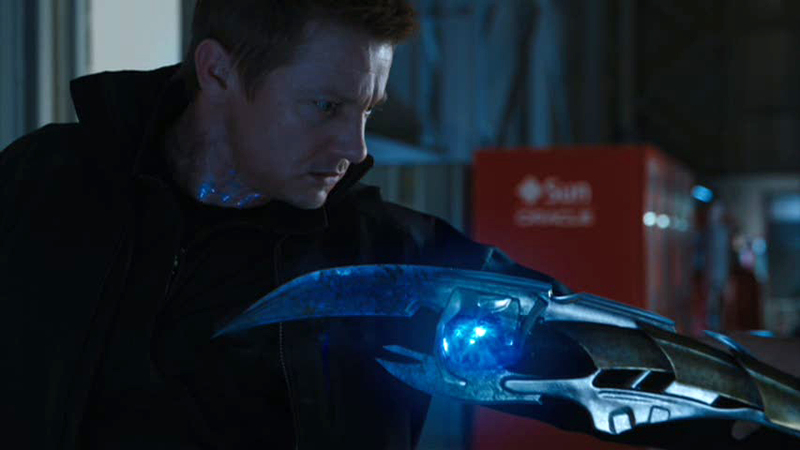 Loki’s scepter is powered by the Mind Stone, the second of the six Infinity Stones to make its appearance in the MCU. The Avengers was written and directed by Joss Whedon, an icon in the geek world since creating Buffy the Vampire Slayer and Firefly. He has experience in the Marvel playground following critically acclaimed runs on Astonishing X-Men and Runaways. Whedon came close to writing and directing a Wonder Woman movie for Warner Bros. before departing the project in 2007. Scarlett Johansson returns as Natasha Romanov aka the Black Widow. Thanks to Whedon’s knack for strong female characters, the Widow is fully flesh out and given a stronger backstory in comparison to her rather throwaway role in Iron Man 2. It’s also arguably one of Johansson’s best performances in her career. The Russian “interrogating” the WIdow is Georgi Luchkov, played by Jerzy Skolimowski. His comic book counterpart made his first appearance in Marvel Comics Presents #135 (1993) where he was a KGB informant. Hawkeye and Black Widow’s shared history in Avengers is similar to the comic book continuity. Natasha began as a KGB spy sent to steal Tony Stark’s designs with Hawkeye as her besotted henchman. Both eventually reformed and became long-standing members of the team. The Widow’s evening gown and shawl ensemble is similar to the outfit she wore in her first appearance in Tales of Suspense #52. This was before she adopted her trademark catsuit. 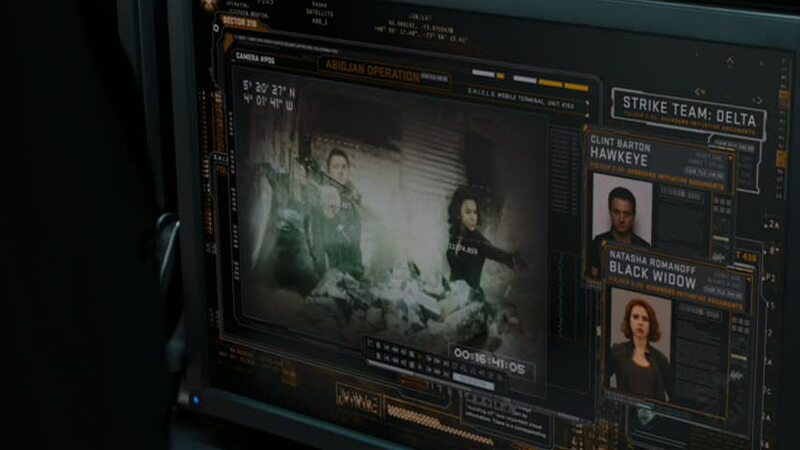 Her line, “We’ve kept our distance, even helped keep some other interested parties off your scent,” is a reference to a document seen in the opening credits of The Incredible Hulk that mandated SHIELD maintain surveillance only on Banner. Captain America was unfrozen in Avengers #4 (1963) and quickly became an integral member of the team. This particular shot of Cap on ice was inspired by a panel from The Ultimates #2 (2002), which was a series that heavily inspired the MCU. 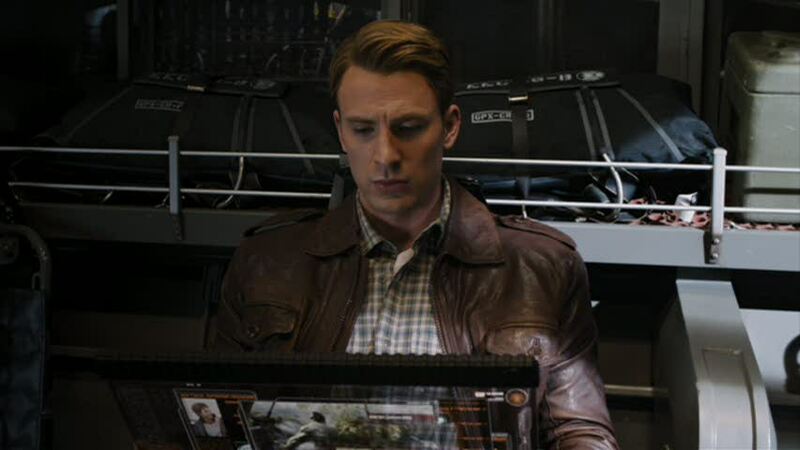 Most of the scenes showing Cap’s troubled reintegration into the modern world were left on the cutting room floor. This included researching the whereabouts of his former comrades. Peggy Carter was revealed to still be alive and living in a retirement home. There were also additional scenes with Cap at the café and meeting Beth, the blonde waitress played by Ashley Johnson. 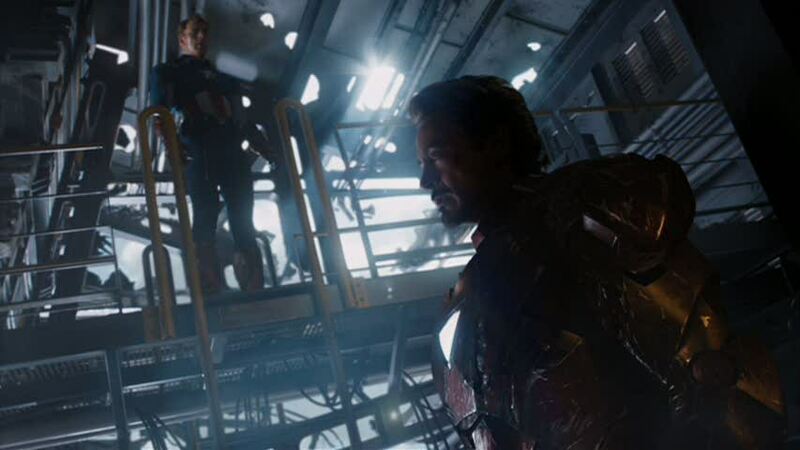 This is Robert Downey Jr.’s fourth time out as Iron Man, if you include his cameo at the end of The Incredible Hulk. 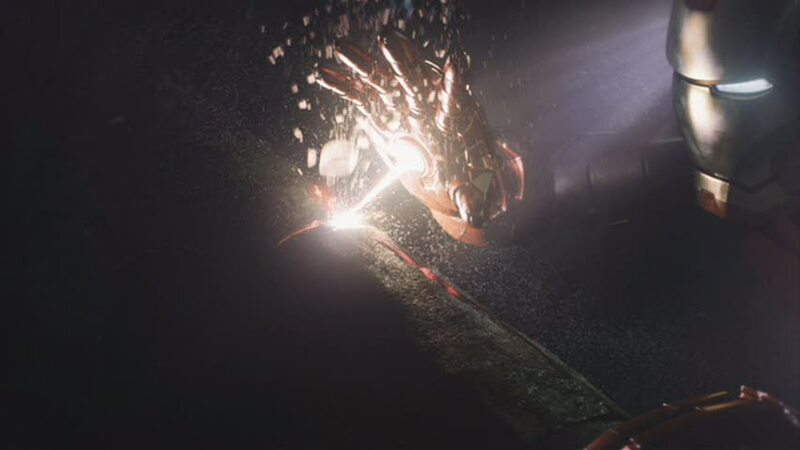 Introducing Tony Stark at the bottom of the ocean is not only a nice transition from Cap, but has a tinge of irony considering Tony’s dad, Howard, was the one that fished the Tesseract from the bottom of the ocean. Pepper Potts wasn’t included in the early versions of Avengers. 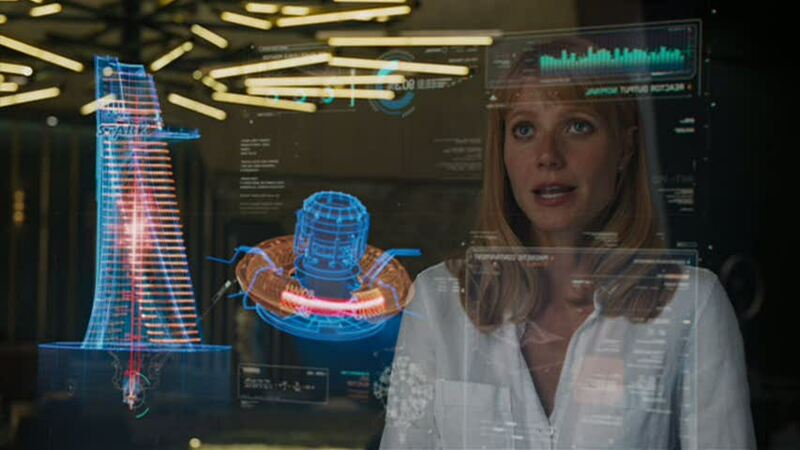 It was Robert Downey Jr.’s idea to bring in Gwyneth Paltrow to round out Tony Stark’s character. Whedon jumped for her inclusion because it gave him an excuse to write Thin Man-style banter. 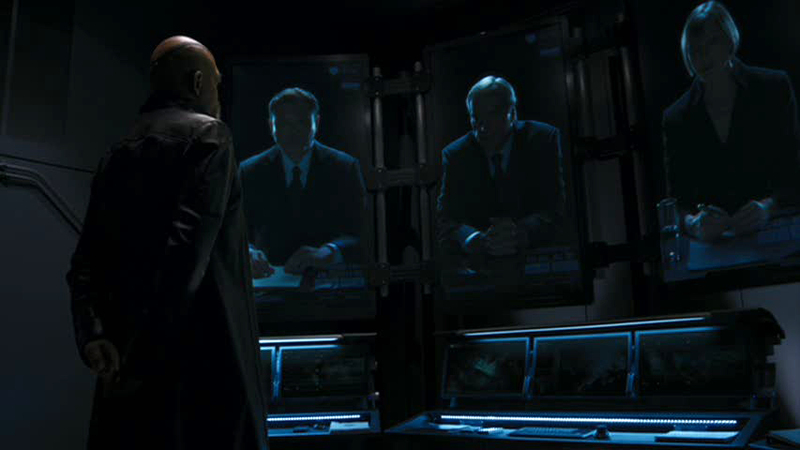 Life Model Decoys are android duplicates used numerous times by Nick Fury, mostly to fake his own death. One of Fury’s LMDs gained sentience, renamed itself Max Fury, and has worked with criminal organizations like Zodiac and the Shadow Council. 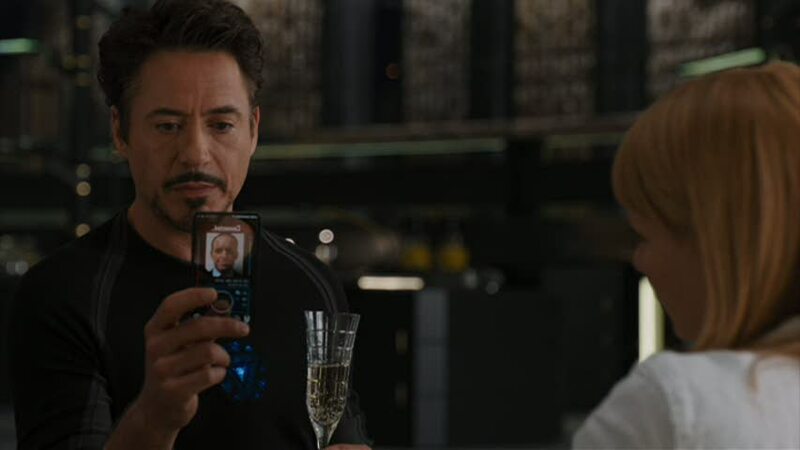 “This isn’t a consultation.” Tony Stark was previously denied membership into the Avengers in Iron Man 2. He was given the position of consultant with his first job being to annoy General Thunderbolt Ross in the short film included with the Thor Blu-ray. The cellist that Agent Coulson is dating is Audrey Nathan, who is introduced in the Agents of SHIELD episode, “The Only Light in the Darkness.” Coulson and Nathan met when the latter was being stalked by a super-powered lunatic named Marcus Daniels aka Blackout. “This, Dr. 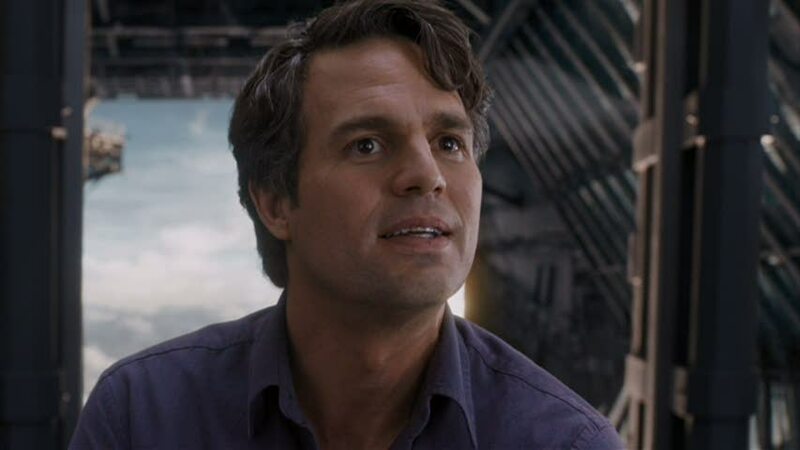 Banner was trying to replicate the serum that created me?” The movie and Ultimate Marvel origins of Bruce Banner saw him transform into the Hulk while attempting to recreate Dr. Abraham Erskine’s super-soldier serum. This is in contrast to the original, who was exposed to gamma rays after a bomb explosion. The emissary Loki communicates with is known only as The Other, who is played by Alexis Denisof. Denisof has worked with Whedon on Buffy, Angel, and Dollhouse, along with providing the voice of The Mirror Master on Justice League Unlimited. 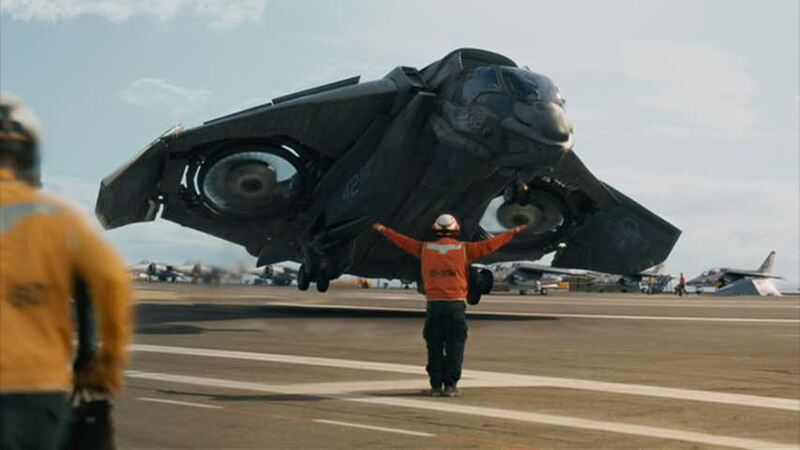 The VTOL aircraft employed by SHIELD is the Avengers Quinjet, which first appeared in Avengers #61 (1969) and was drawn up by the Wakandan Design Group, headed by the Black Panther. Here, the Quinjets appear to be standard issue for SHIELD. 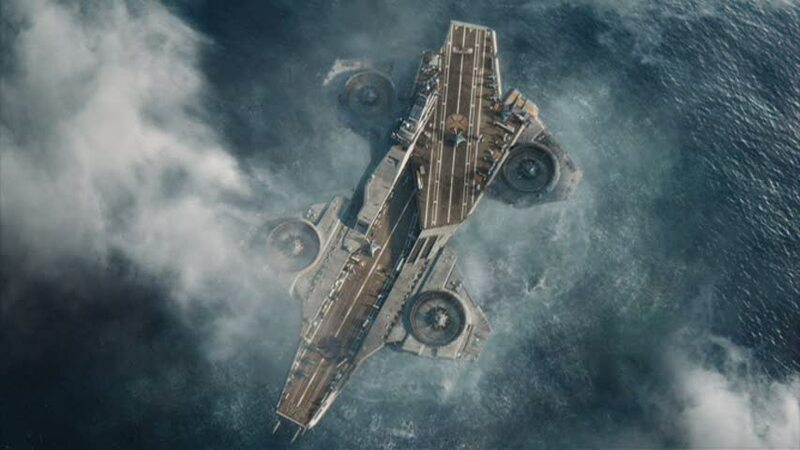 The Helicarrier is SHIELD’s mobile base of operations and first appeared in Strange Tales #135 (1965). It was designed and built by Tony Stark, Reed Richards, and Forge of the X-Men. Many criminal organizations, such as HYDRA, AIM, and the Serpent Society, have become adversaries of SHIELD. Maximiliano Hernandez plays Agent Jasper Sitwell, who previously appeared in Thor and The Consultant. He is revealed to be a HYDRA sleeper agent in The Winter Soldier. 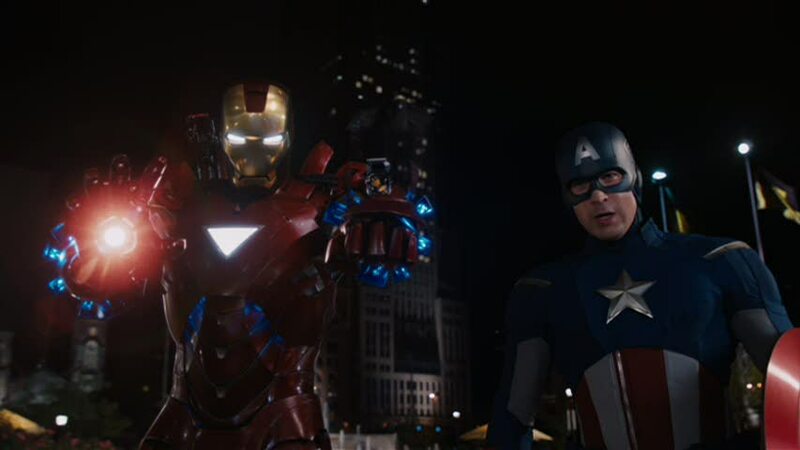 Cap and Iron Man have been staunch allies for decades, but they’ve been at odds from time to time. Their worst falling out occurred during Civil War when the two stood on opposing sides of the government’s Superhero Registration Act. Tony supported the measures, turned against many of his former friends, and eventually took over SHIELD. Meanwhile, Cap led the resistance movement and was labeled a traitor. This storyline will be adapted for Captain America: Civil War. “How much dark energy did the Allfather muster to get you here?” is this movie’s version of “A wizard did it.” The Bifrost Bridge, Asgard’s means of transport, was destroyed at the end of Thor, leaving the Asgardians seemingly cut off from the nine realms. In the Thor: The Dark World Prelude comic, Odin used a dark matter generator to transport Thor to Earth. The ravens flying past Thor and Loki is a reference to Hugin and Munin, Odin’s birds who travel through the Nine Realms and carry back information to their master. The ravens can be seen perched on top of Odin’s throne in Thor. 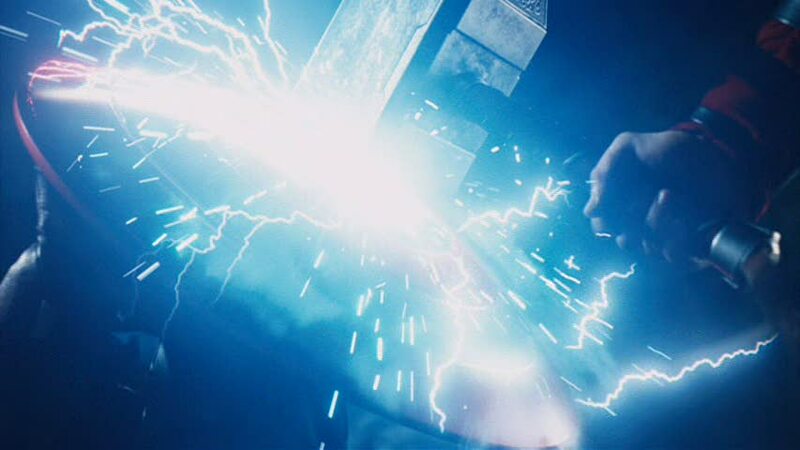 The unstoppable force meets the immovable object when Thor’s mystical hammer, Mjolnir, strikes Captain America’s shield, which is comprised of vibranium, a rare metal that absorbs all vibrations. This is a reference to the climactic battle between the Green Goliath and the Abomination in The Incredible Hulk. 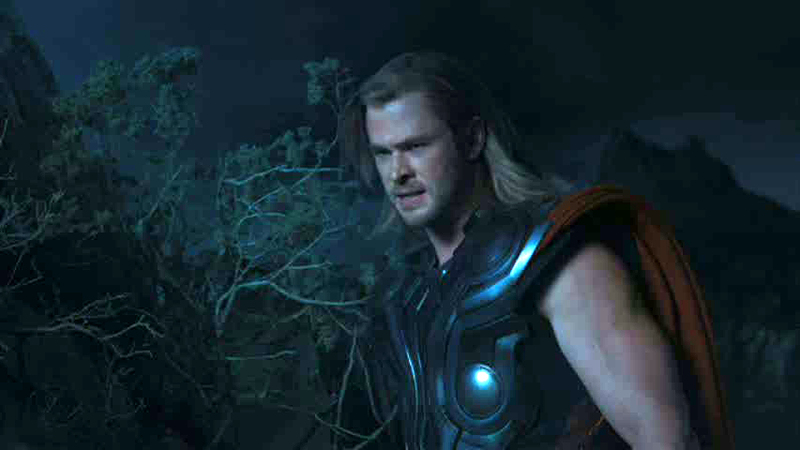 As Thor explains to Jane Foster in The Dark World, he was busy averting catastrophes in the Nine Realms and couldn’t come by for a visit. 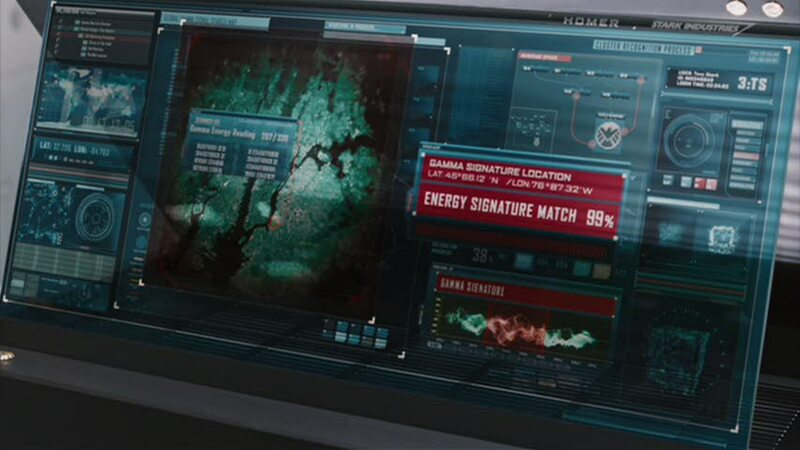 SHIELD has been keeping the weapons HYDRA created by using the Tesseract. 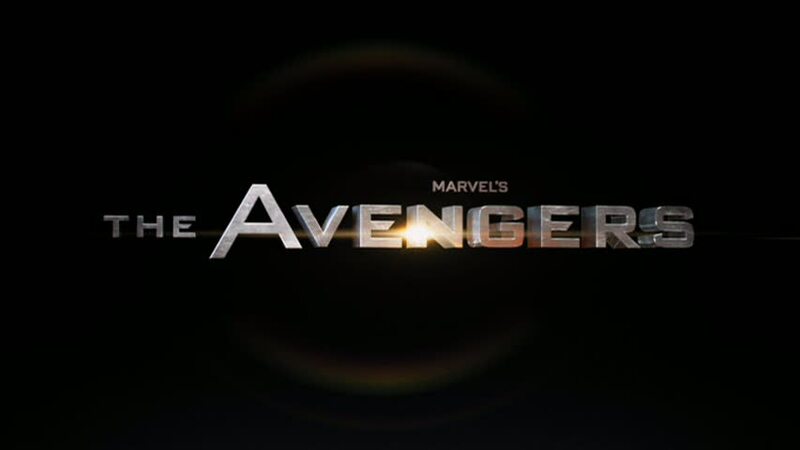 Phase 2 refers to both SHIELD’s attempts at creating their own weapons and the next series of Marvel Studios pictures that will build to The Avengers 2. 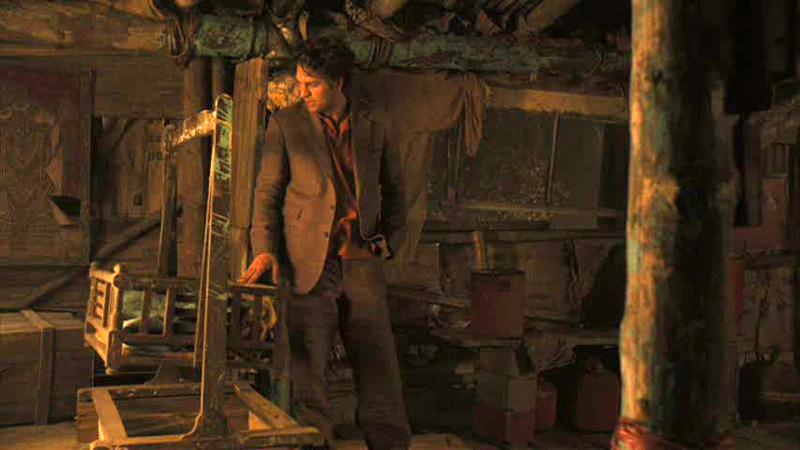 Banner’s attempted suicide was depicted in an alternate, unused opening for The Incredible Hulk. 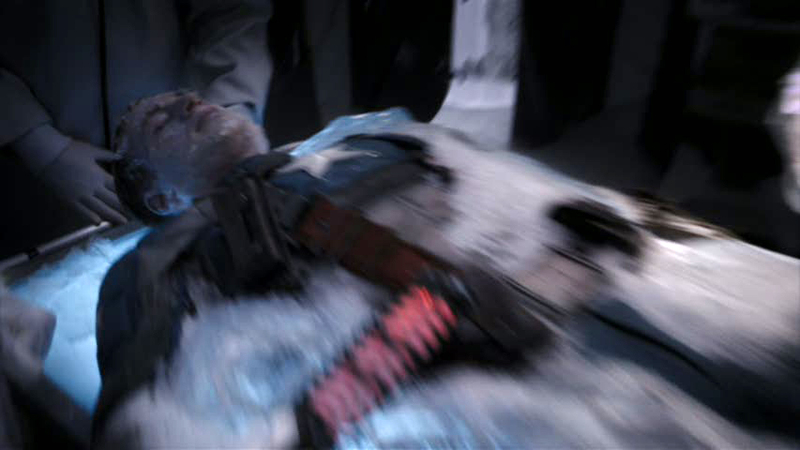 Banner trudged his way to the Arctic Circle where he tried to shoot himself only to Hulk out and cause an avalanche, which in turn uncovered the frozen body of Steve Rogers. Some folks missed it. 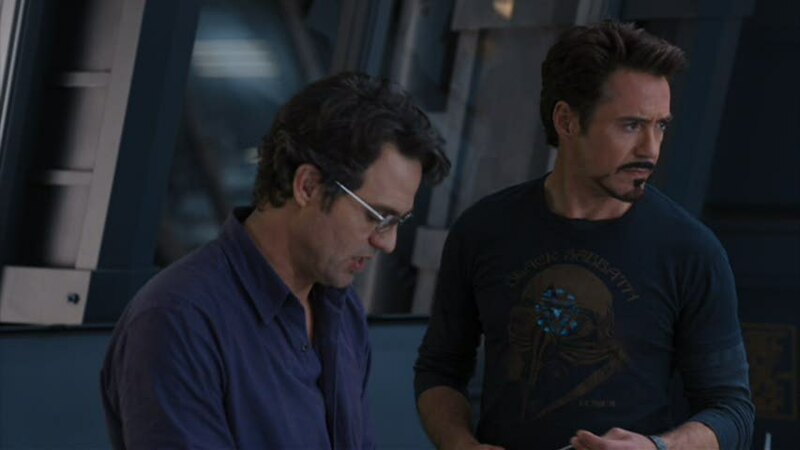 Banner discovers Loki has brought the Tesseract to Stark Tower right before the attack on the Helicarrier, which explains why he knew to head into Manhattan during the big battle. 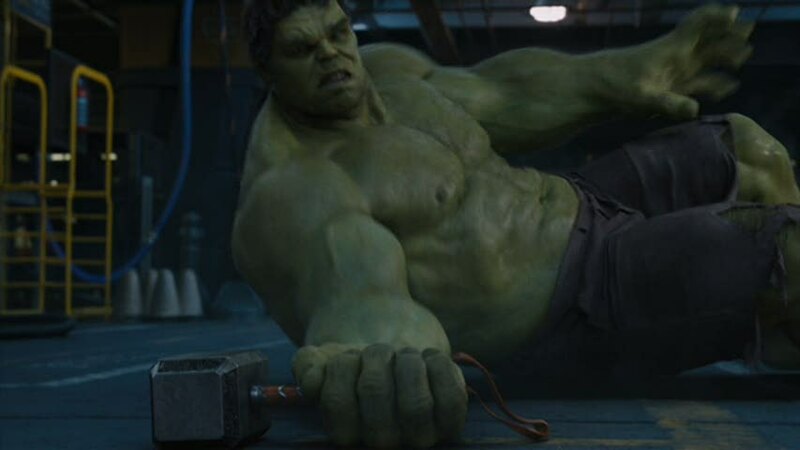 The Hulk is unable to lift Mjolnir because Odin’s enchantment (“Whosoever holds this hammer, if he be worthy, shall possess the power of Thor.”) is still in effect. Loki’s illusions have been a standard trick out of his playbook. He used a similar ploy on the Frost Giants in Thor. 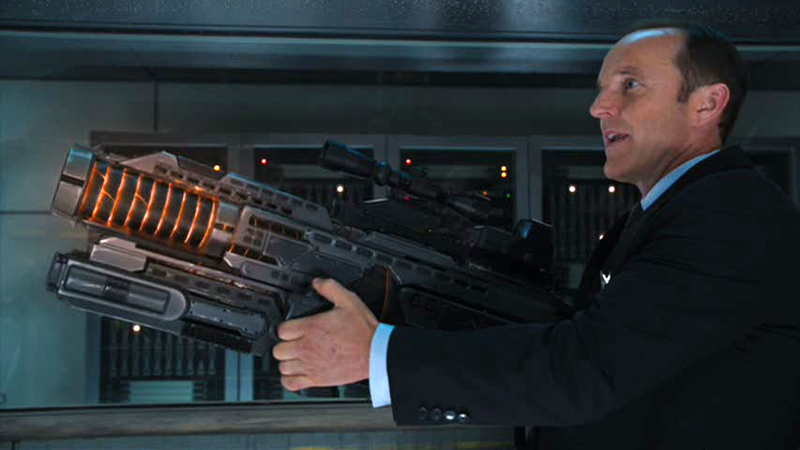 The gun Agent Coulson is wielding was reverse engineered from the Destroyer, a mystical suit of armor sent by Loki to attack Thor and his allies. It was incapacitated by the God of Thunder and taken into custody by SHIELD for further study as revealed in the mini-series Fury’s Big Week. Whedon states that this shot is one of his favorites as it looks like it was drawn by Bryan Hitch, the artist on The Ultimates, an updated version of the Avengers that served as a huge inspiration. This includes Samuel L. Jackson as a black Nick Fury as well as Cap and Hawkeye’s costumes. 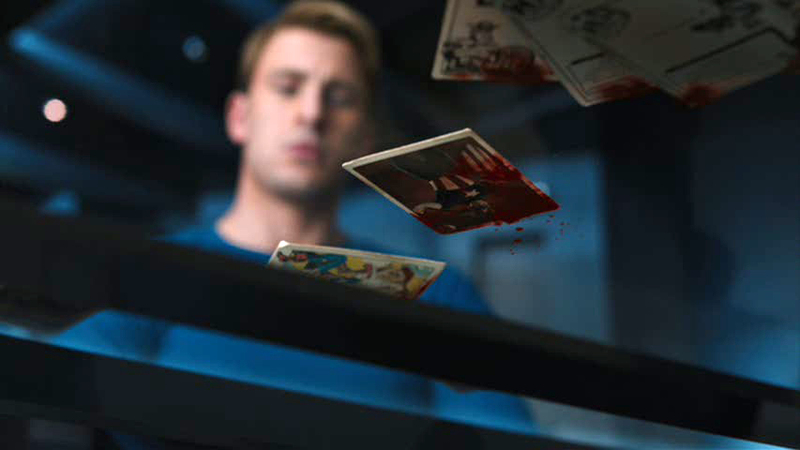 The Captain America trading card in the lower section of the screen depicts the cover of Captain America #1 with Cap punching Hitler in the face. 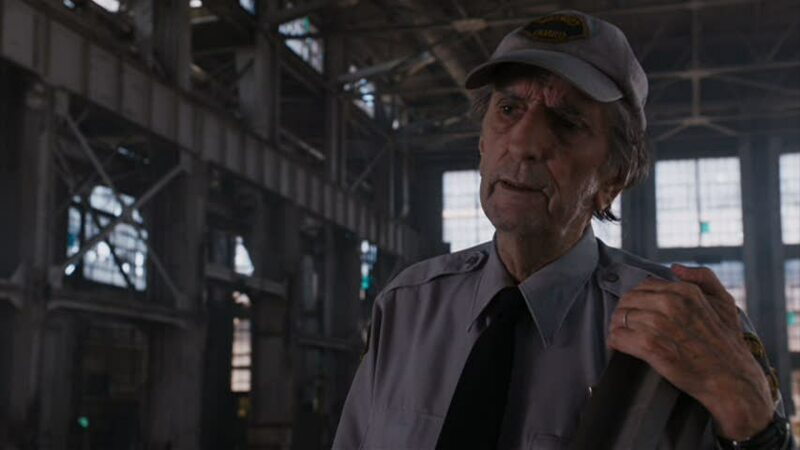 Legendary character actor Harry Dean Stanton pops in for a cameo as a security guard. Whedon was able to cast Stanton through his DP Seamus McGarvey who was shooting a documentary about him. Most of Stanton’s scenes were deleted from the final cut. Tony’s new Mark VII armor switches the triangular chest piece back to the original circular design. It also adds backpack thrusters so Iron Man no longer needs his repulsors to act as flight stabilizers. Powers Boothe and Jenny Agutter play two members of the World Security Council. Boothe played the sinister Senator Roark in Sin City and Sin City: A Dame to Kill For, based on the comics by Frank Miller while Agutter appeared in the cult classics Logan’s Run and An American Werewolf in London. 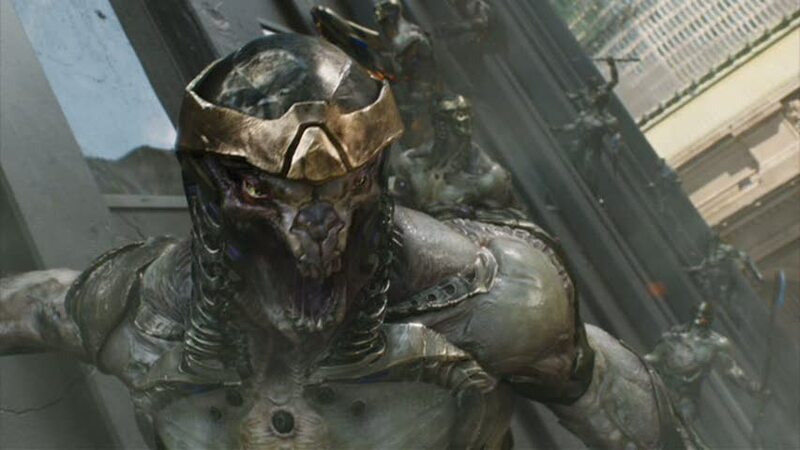 The Chitauri are the Ultimate Marvel versions of the Skrulls, a race of shapeshifting aliens who have battled the Fantastic Four and the Avengers. 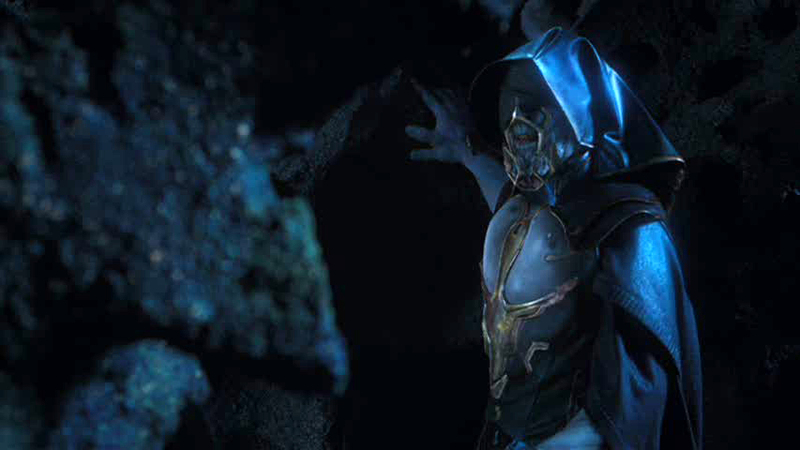 The Chitauri seen in Avengers do not have shapeshifting abilities and are portrayed as a generic alien menace. Enver Gjokaj plays the NYPD Officer and reappears as SSR Agent Daniel Sousa on Agent Carter. Gjokaj previously worked with Joss Whedon on Dollhouse, along with actors Ashley Johnson and Alexis Denisof. 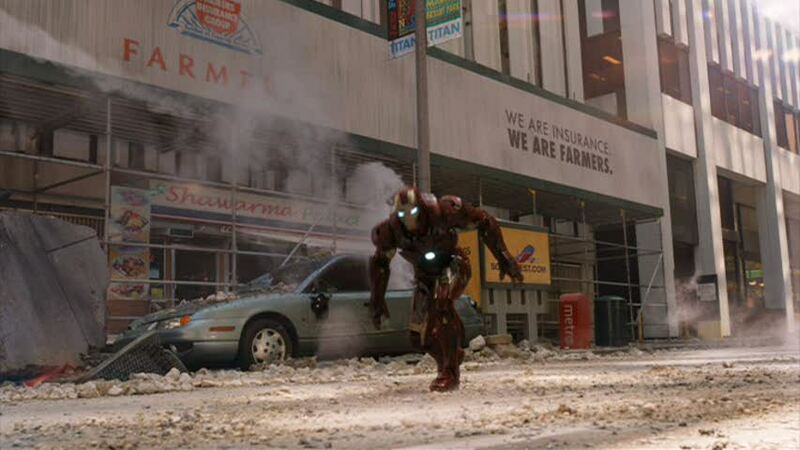 Tony crashes near the shawarma joint he hopes to check out after the battle. It’s right by State Farm Insurance’s blatant product placement. Actor J.K. Simmons, who played J. Jonah Jameson in the Spider-Man flicks, is their pitchman. 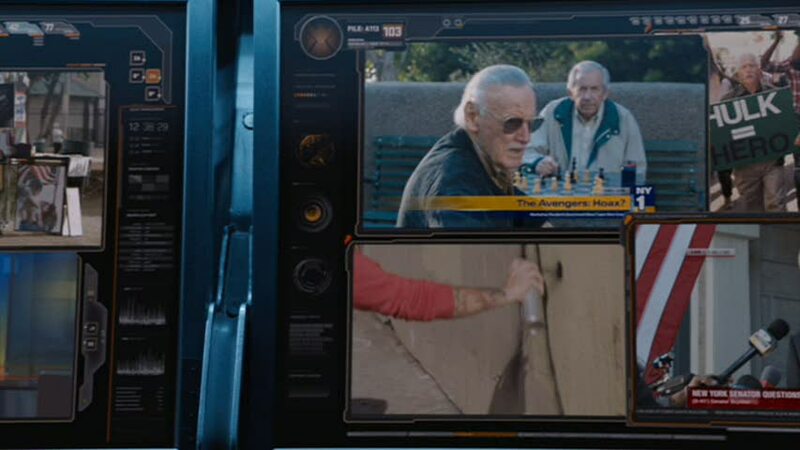 Stan Lee’s original cameo saw him eating at the café next to Steve Rogers. Lee urges the Sentinel of Liberty to ask Beth for her number. 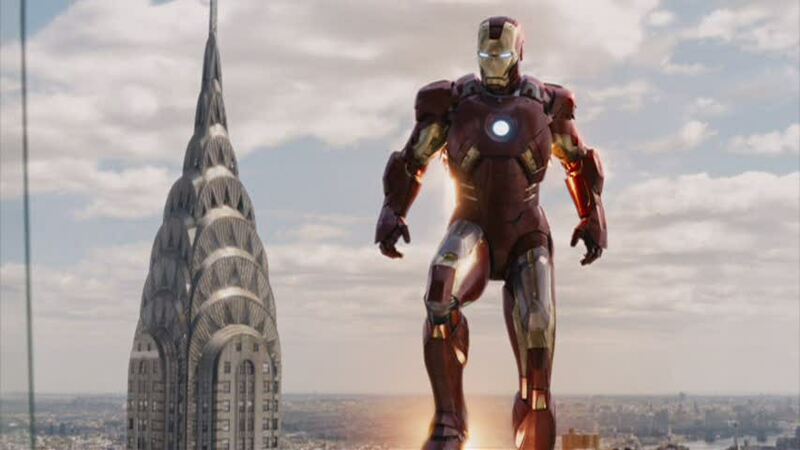 Stark Tower was built in Midtown Manhattan to be Tony Stark’s central hub. 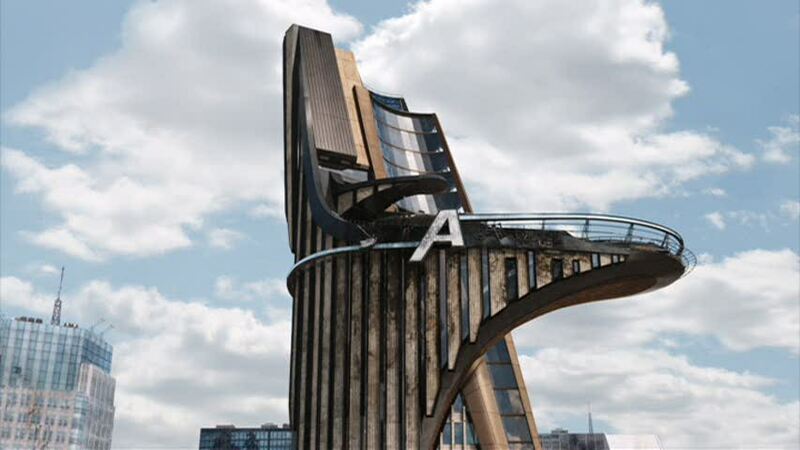 The new Avengers Tower will incorporate specialized quarters for each member of the team. In the comics, it was located only a few blocks away from the Baxter Building, the residence of the Fantastic Four. Stark Tower later became Avengers Tower when the team relocated after a crazed Scarlet Witch destroyed their old headquarters at Avengers Mansion. 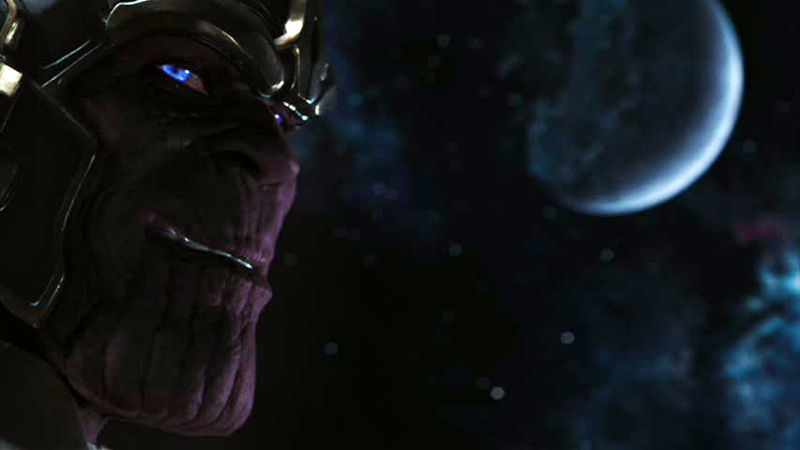 The puppet master behind the scenes is revealed to be Thanos, one of Marvel’s most powerful and dangerous villains. Debuting in Iron Man #55 (1973), Thanos was created by Jim Starlin, a comic book creator known for his epic cosmic sagas. His influence (along with Star Trek) can be seen in the sequences depicting the Chitauri and the floating staircase. In turn, Jack Kirby’s New Gods inspired Starlin as he cribbed Thanos’ look from Darkseid and his throne from Metron. Born on the Saturn moon of Titan, Thanos worshipped the embodiment of Death and seeks to destroy all life in the universe to please her. Hence the sly smile, he literally wants to court Death. To do so, he attempts to collect the Infinity Stones. 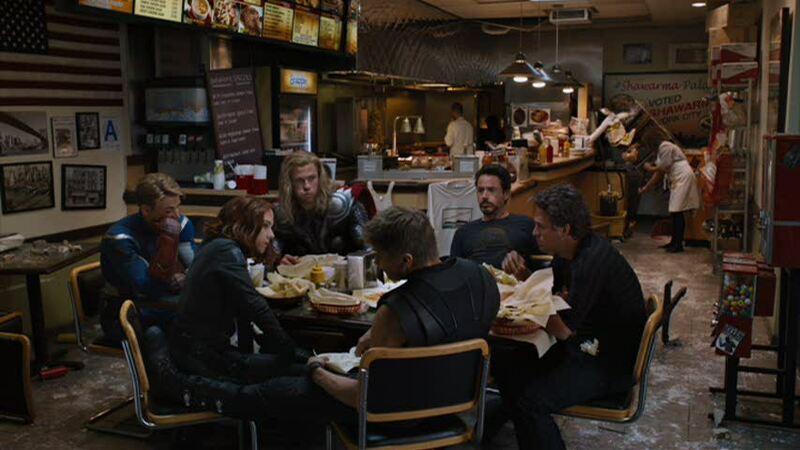 The second post-credits scene with the Avengers enjoying a round of shawarma was a last minute addition, filmed a day after the Hollywood premiere. Interesting note, Evans was in the middle of shooting Snowpiercer and sported a beard, which had to be hidden by prosthetics and his arm. 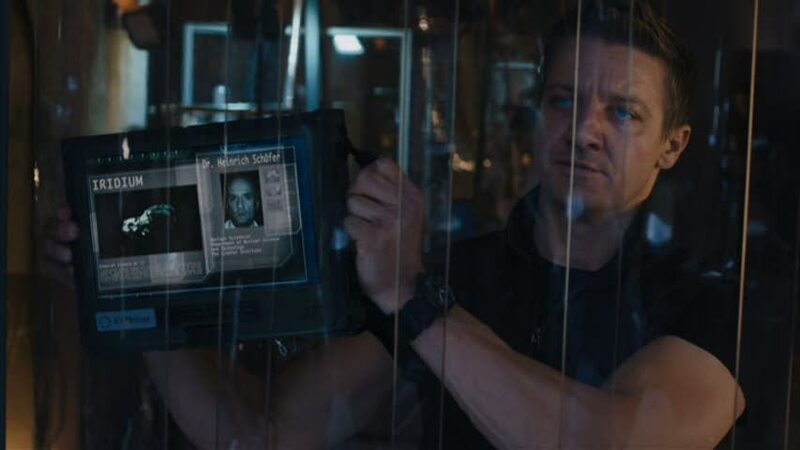 The Avengers Blu-ray includes the Marvel One-Shot, Item 47. Jesse Bradford and Lizzy Caplan star as Bennie and Claire, a modern-day Bonnie & Clyde, who have repaired one of the Chitauri weapons for use in a series of bank robberies. Agent Sitwell is dispatched to capture the duo and retrieve the weapon. 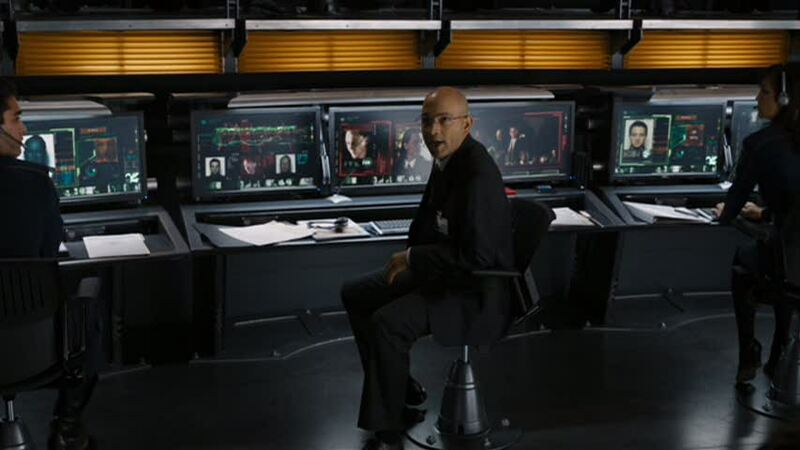 In the end, Sitwell recruits them into SHIELD so that Bennie can assist them in reverse-engineering Chitauri technology. Neither Bennie nor Claire have reappeared since Item 47. It’s also unclear whether or not the couple are loyal to SHIELD given Sitwell’s status as a HYDRA sleeper agent. The One-Shot also introduces Titus Welliver as Agent Blake, who reappears on Agents of SHIELD where he is critically injured in a fight with Deathlok.